MQTT protocol is a Machine to Machine (M2M) protocol widely used in Internet of things. The MQTT protocol is a message based protocol, extremely light-weight and for this reason, it is adopted in IoT ecosystem. Almost all IoT platforms support MQTT protocol to send and receive data from smart objects. There are several implementations for different IoT boards like Arduino, Raspberry and so on. There are other IoT protocols used to implement IoT projects but MQTT is one of the most efficient. The MQTT protocol was developed around 1999. The main goal of this protocol was to create a protocol very efficient from the bandwidth point of view. Moreover, it is very power-saving protocol. For all these reasons, it is suitable for IoT. This protocol used publish-subscriber paradigm in contrast to HTTP based on request/response paradigm. It uses binary messages to exchange information with a low overhead. It is very simple to implement and it is open. All these aspects contribute to its large adoption in IoT. Another interesting aspect is the fact that MQTT uses TCP stack as a transmission substrate. As said before, MQTT protocol implements publish-subscriber paradigm. This paradigm decouples a client that publishes a message (“publisher”) to other clients that receive the message (“subscribers”). Moreover, MQTT is an asynchronous protocol, that means that it does not block the client while it waits for the message. In contrast to the HTTP protocol, that is mainly asynchronous protocol. Another interesting property of MQTT protocol is that it does not require that the client (“subscriber”) and the publisher are connected at the same time. As described above MQTT is a message based protocol that uses publisher-subscriber pattern. The key component in MQTT is the MQTT broker. 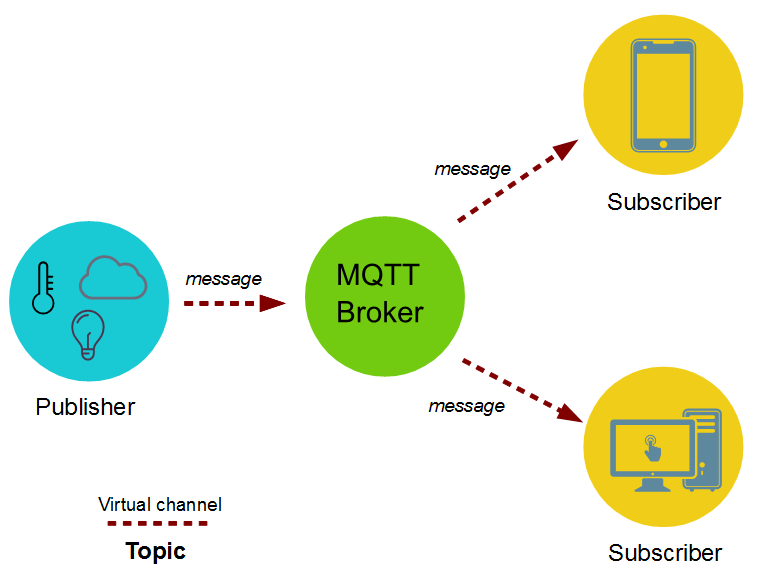 The main task of MQTT broker is dispatching messages to the MQTT clients (“subscribers”). In other words, the MQTT broker receives messages from the publisher and dispatches these messages to the subscribers. 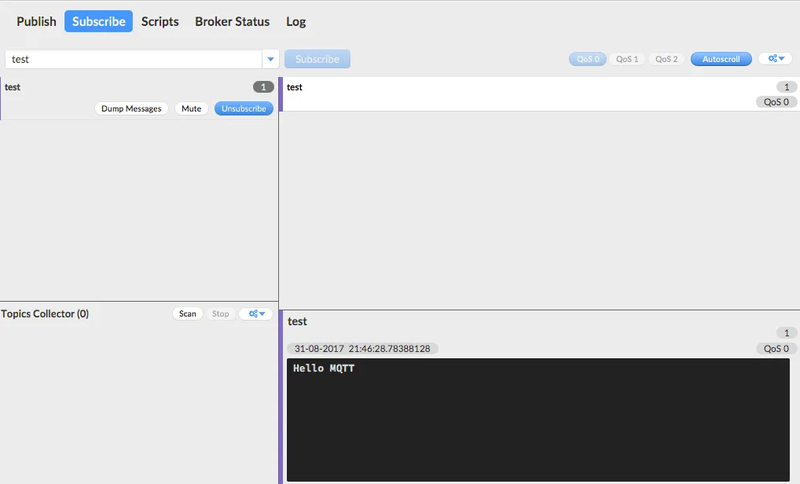 While it dispatches messages, the MQTT broker uses the topic to filter the MQTT clients that will receive the message. The topic is a string and it is possible to combine the topics creating topic levels. A topic is a virtual channel that connects a publisher to its subscribers. MQTT broker manages this topic. Through this virtual channel, the publisher is decoupled from the subscribers and the MQTT clients (publishers or subscribers) do not have to know each other to exchange data. This makes this protocol highly scalable without a direct dependency from the message producer (“publisher”) and the message consumer (“subscriber”). As you may already know there are other IoT protocols that you can use in an IoT project as CoAP, HTTP and so on. If you don’t know other IoT protocols you could give a look at my article. 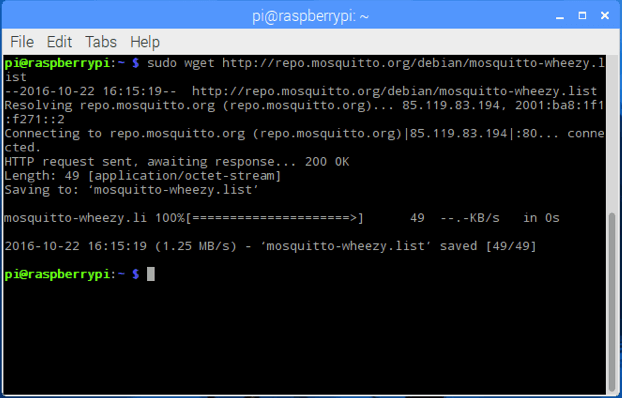 Now, that the repository link is configured properly, we can install Mosquitto on Raspberry PI. The MQTT server (aka MQTT broker) is installed on Raspberry Pi. This server is our MQTT broker as specified above. Now we need to install the client, or in other words, the publisher and the subscriber. In this example, we will install client and server on the same Raspberry but you can install it on a different pc/server or IoT board. As you can notice, our subscriber is waiting for a message. In this example, we used a topic called swa_news. 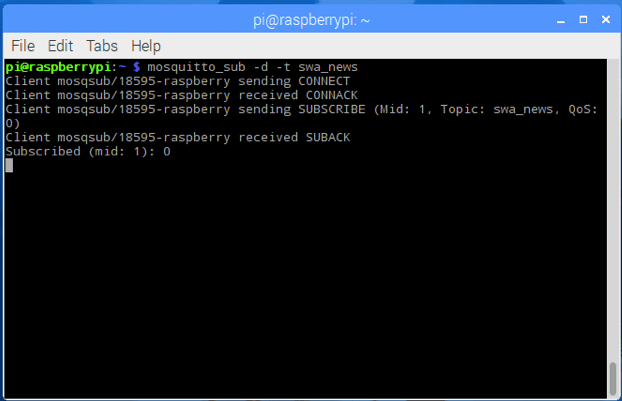 Now we will send a message using an MQTT publisher that uses the same topic swa_news. As an important aspect to note is that the MQTT is a plain protocol so the message is clear and everyone can read it. If the security is the main concern, you can read this article explaining how to make MQTT secure. In this last example, we will use an Android MQTT client so that the same message we sent is received by the Android MQTT client. This video shows how to configure an Android MQTT client. What does MQTT security mean? Another important aspect is how to implement MQTT security. In more details, we will describe how to securing Mosquitto MQTT server. As you may already know MQTT is one of the most important protocols widely used in Internet of things and in Industrial Internet of things. MQTT is a lightweight messaging oriented protocol where MQTT client exchanges messages through an MQTT server called MQTT broker. Generally speaking, the Internet of things is the upcoming technological revolutions where objects, called smart objects, connect each other and to the internet exchanging data and information. One of the main concerns about Internet of things is the security aspect. Considering that IoT will impact our everyday lives and these smart objects are able to acquire and collect different kinds of information the security is an important aspect. Some of this information is sensitive (we can think about health data) and it is important to be sure that no one else can use it except the allowed persons and systems. In this context, it is important to know how to securing MQTT protocol and how to protect the information. In the next paragraphs, we will analyze the steps we have to follow to secure MQTT using Raspberry Pi as MQTT broker. The final step is configuring Mosquitto MQTT so that it uses these certificates. The first step in this process is creating a private key. Connect to the Raspberry Pi using ssh or a remote desktop as you prefer and open a command terminal. Before starting, it is important you check if OpenSSL is installed in your Raspberry Pi, otherwise, you have to download from here. Now you should see the certificate. where the path /home/pi/ssl-cert-mosq is the path where you stored your certificate. Moreover, we change the default Mosquitto MQTT port to 8883. That’s all. Now our MQTT protocol is secure and encrypted. The last step is testing the configuration and the MQTT server. Notice that we have enabled the SSL/TSL configuration providing the mosq-ca.crt creating during the previous steps. clicking on connect. 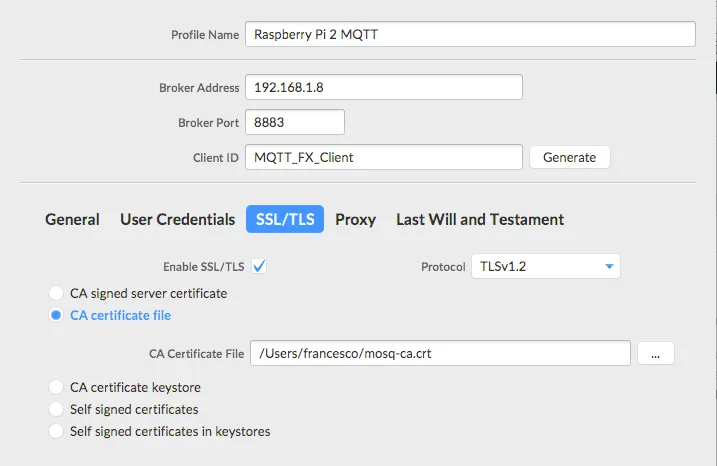 You will notice that the MQTT client will establish the connection to the MQTT broker as you can check in the log tab. Now it is time to test if our client gets the message. Select the subscribe menu and subscribe the MQTT client to a topic (choosing a topic name). As you can notice, we received the message sent by the publisher. 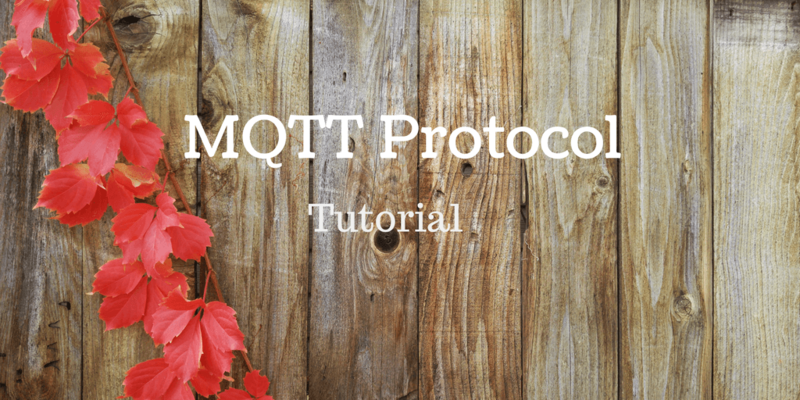 At the end of this post, you know how to publish a message using MQTT protocol and to handle MQTT security configure Mosquitto MQTT over SSL/TSL. Hello. Actually to work with MQTT protocol, do i need application?. For communication between two esp8266 wifi modules apps are not possible thats why? I have running mosquitto and I want to do that only one client can connect to topic as publisher (maybe with password or something) others can only conncect as subscriber. Sir, your blog is very helpful. I don’t have much software knowledge so I am a bit confused. How exactly do we set up a MQTT connection between esp8266 nodemcu and raspberry pi 3? Sir, I’m interested in implementing mosquitto broker. I’ve downloaded mosquitto and eclipse platform. Can you help me the steps required to run mosquitto source code in eclipse platform? you can download the broker directly without using the source code. Is there a specific use case that requires to use the source code? Actually I am new in using MQTT. So I don’t know how to use it could you please be able to tell me how to use MQTT in ESP 8266 thing dev. I am understanding theoritically but in practical i am not getting any idea on MQTT. Thank you. Actually, I am new in using MQTT. So I don’t know how to use it could you please be able to tell me how to use MQTT in ESP 8266 thing dev. I am understanding theoretically but in practice, I am not getting any idea on MQTT. I am using Arduino software Thank you. I’m planning to modify Mosquitto broker source code to improve its features. I’ve downloaded mosquitto source code from https://mosquitto.org/download/. Can you help me in build and run moquitto source code.